Authored by Pablo Dobarro (pablodp606) on Nov 13 2018, 7:33 PM. "Love" token, awarded by fiendish55. "Love" token, awarded by billreynish. "Love" token, awarded by 0o00o0oo. "Love" token, awarded by Okavango. "Like" token, awarded by MantasKuginis. "Like" token, awarded by ThinkingPolygons. I wonder if a better approach would be to toggle prompt for all kinds of Deletion (Curves, Keys, etc), not only object. Also, would be nice to have an option to toggle the Save prompt as well, maybe something more generic could be thought through for general prompts? 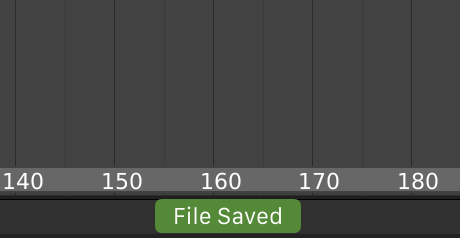 I'm not familiar with the animation workflow. In this case, would be ok to skip this menu? 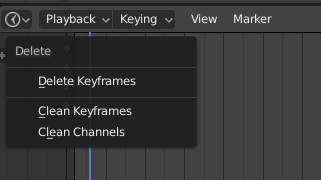 "Clean Keyframes" and "Clean Channels" are 2 separates tools, that are both not the same as "Delete Keyframes". So this popup is not a confirmation popup, because it let you choose between 3 choices. Yes, but maybe the delete shortcuts could just call an actual deletion, and let the cleaning options to another shortcut or a menu. I think it might be nice to let the delete buttons actually delete things right away. Considering it's more frequent to call a simple delete, and that most of the time in any software it just deletes on keypress without asking you what you wanted to do when you pressed that button with "Delete" written on. There are several prompts we could remove completely, in favour of showing a message in the Status Bar. We've solved this problem already for things like the Remove Doubles tool, which already works this way. 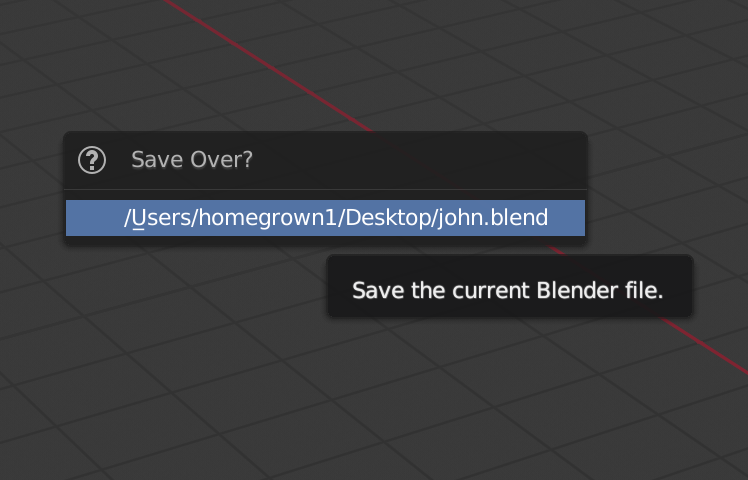 There's no need for a Save popup menu with no options other than clicking. In fact, this is a usability issue, because users might think they have already saved when in fact they have only opened a dialog. I've seen users lose work because if this problem. IMO this doesn't even need to become a preference, I think we should just make this change fully. It's both easier & faster, and with the message UI, we communicate to the user what is going on. We have too many obscure preferences - we should rather just solve things as well as possible. Making these kinds of actions spawn a Status Bar message similar to Remove Doubles. Use the Warning message type for destructive actions. KiJeon (0o00o0oo) added a subscriber: KiJeon (0o00o0oo). Pablo Dobarro (pablodp606) retitled this revision from Add option to disable confirmation dialog when deleting objects to Remove confirmation dialogs Save or Delete, in favour of displaying messages in the Status Bar. I removed the option and I added the warning message. However, maybe is not a good idea to remove the save file dialog. You could easily overwrite a file with undesired changes and lose your data if you don't have save versions enabled. I think that adding a more descriptive message or showing it only if you have save versions disabled could be a better option. Remove confirmation when saving over a file. Show info message.